If you are anything like me you want fresh pillows every couple of months… and we all know that that addiction gets pretty expensive pretty quickly! Check out these sofa pillow arrangement tips and learn how to mix neutral pillows and change your pop of color out for the different seasons. If you keep your pillow inserts and just buy pillow covers you can “go shopping” in your own pillow storage closet to create different unique pillow arrangements seasonally. Check out my tips below! I've even including shopping links for you so you can either fill in the holes that you may be missing or if you want to start from scratch you can order the entire look. If you are looking for help putting together your own arrangement, my pillow styling services are just the cost of one average pillow! Book a Pillow consult HERE (You will get 2 different pillow arrangements based on your personal design style for one room- $49). 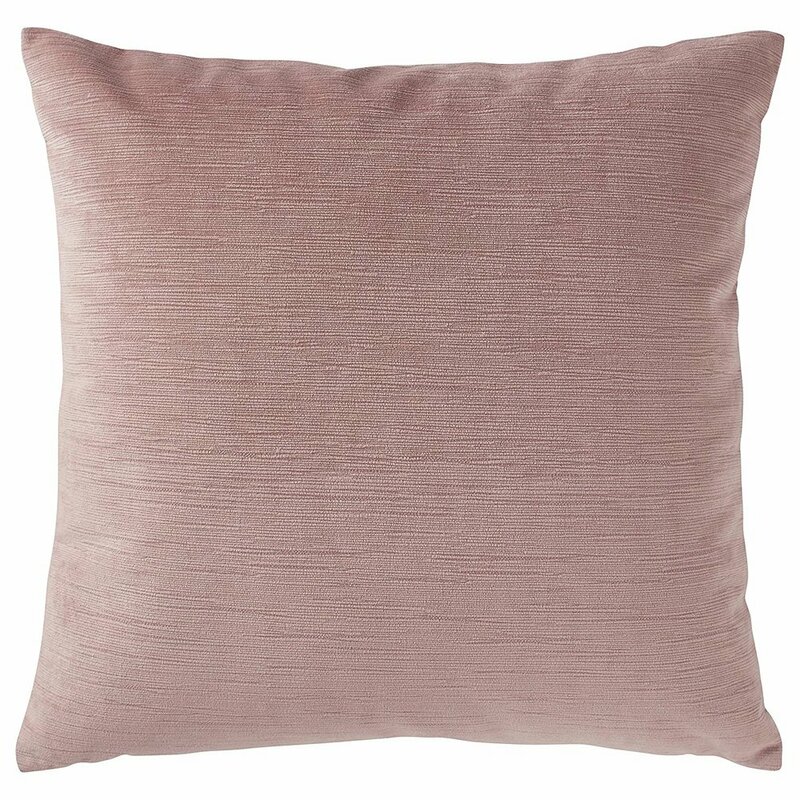 Choose a center pillow that contrasts the pillows that it is in front of. 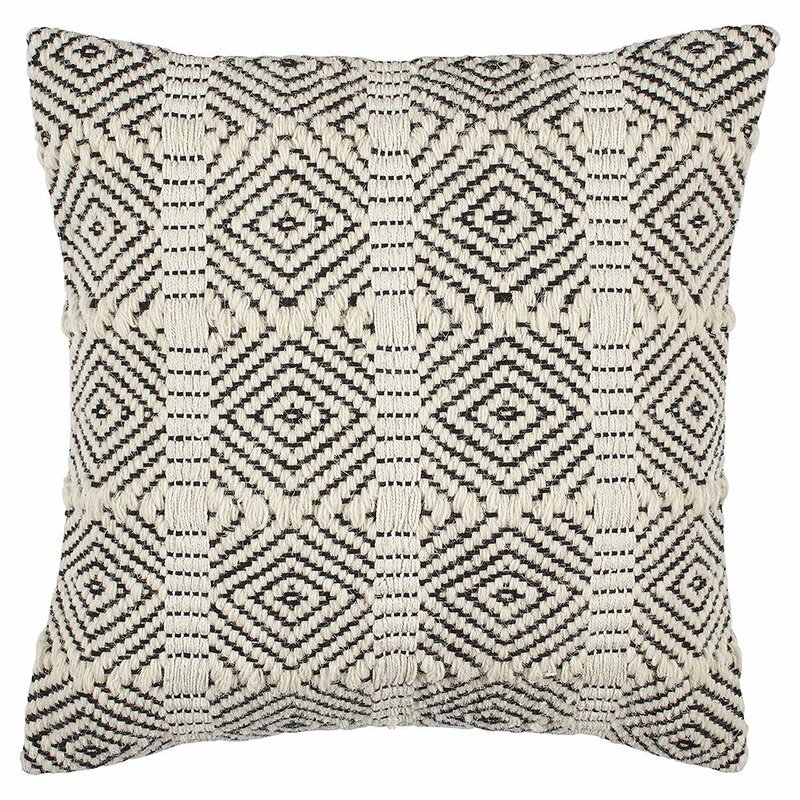 This pillow should tie the color palette together. It can be either a lumbar or the same sized pillow. 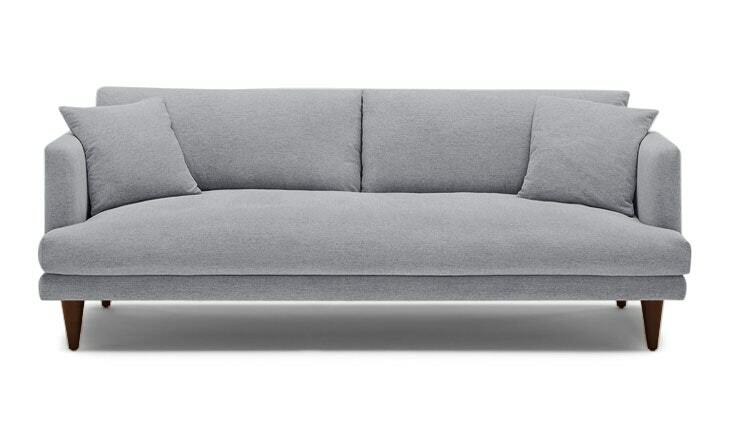 The outer pillow should contrast the sofa and be either significantly lighter or darker. Add a pop of color that you can change out for different seasons. Use 2-3 Colors and the rest neutrals. Pillows can all be the same size- get a cozy look with larger pillows, 20-24” with feather down inserts that are 2” larger than your cover. Use different textures to add depth to the arrangement. This is a faux leather camel colored pillow. 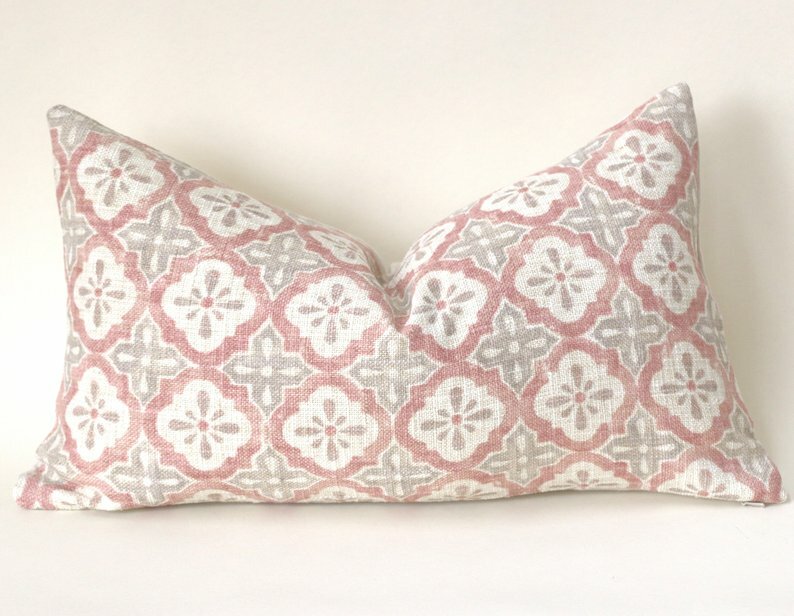 Choose a medium sized print and pair it with a solid and large pattern pillow. Mix textures like velvet, cotton, mud cloth, woven knits, faux fur faux leathers, etc. 18” or lumbar front pillows. Tie in 1 underlying color throughout- usually a white or another neutral. Use a medium sized print mixed with a neutral and a large scale print to mix patterns. Stripes are great neutral motifs that mix with just about any other texture/ pattern. Choose a neutral with a medium sized print that can be used year round with seasonal pops of color changed out. Neutral “greige” colors are great to connect beigey gold tones with gray’s. Add a soft textured tone on tone texture with a pop of color to any arrangement seasonally. Use a center lumbar pillow to connect the arrangement int the middle. Its ok to mix gray and creams or gold tones!